River Valley Has Gone Mobile. 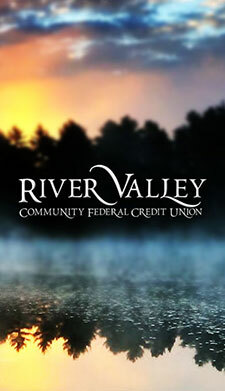 River Valley Community FCU is proud to announce that we now have a mobile app to make account monitoring, transfers and other financial services as seamless, easy and convenient as possible for our members. 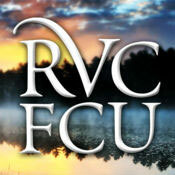 If you are already set up with Online Banking with your RVCFCU account, all you have to do is download the app and log in just like you would using Online Banking. If you do not have Online Banking, then you must call or come by to ask us about getting your account online so that you can take advantage of this powerful tool made available to our members totally free of charge. To download the app, select on the appropriate device type below. To download the app for your device, simply enter the App Store for iPhone users and Google Play for Android users. 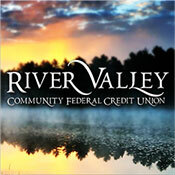 Then, search for “River Valley Community FCU” and you should see an icon similar to one of these depending on which store you are using. Download the app and once you see a screen like the one at right, you are about to experience the convenience for yourself.